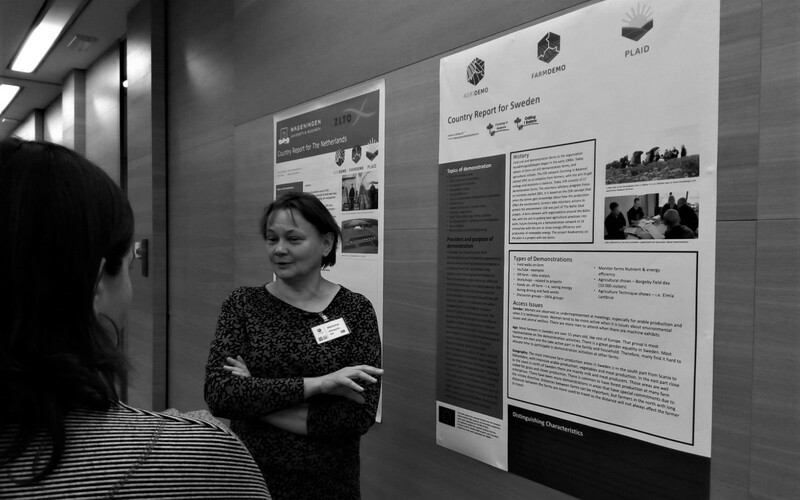 Following the lead of the previous Supra-regional meetings for Southern and Eastern, countries, on 28th March 2018 took place the FarmDemo Supra-regional Meeting for Northern countries. It was organised by Innovatiesteunpunt (Plaid partner) in Leuven (Belgium) and joined Plaid and Agridemo-F2F partners from Belgium, Denmark, Finland, France, Germany, Ireland, Norway, Sweden, Switzerland, The Netherlands and the United Kingdom. Objective was to address results of the inventory in the context of those countries, and analyse and compare specificities and trends of the demonstration activities. 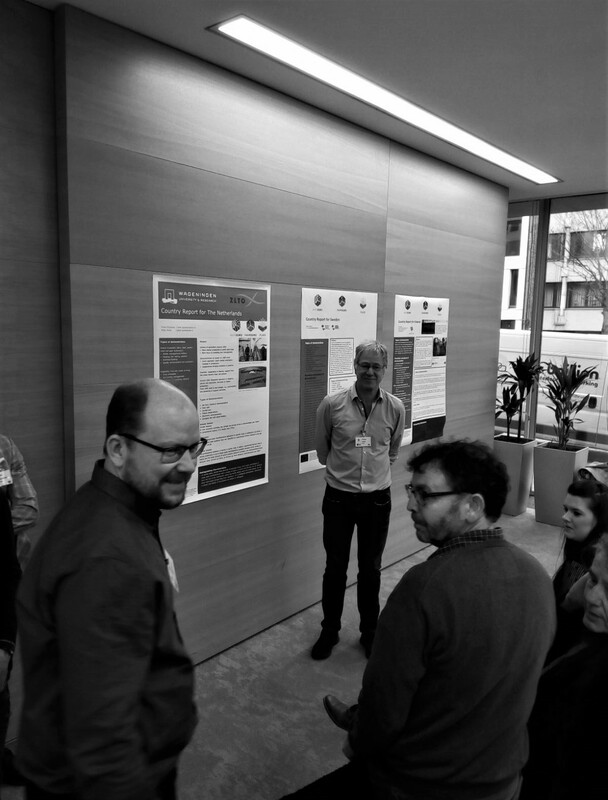 As the previous ones, the meeting started with an interactive poster session, presenting main findings per country, followed by discussions in subgroups. Thus, participants shared impressions about the main topics and purposes of the demonstrations, organisers and providers, farmer roles or social aspects, like gender and age of participants. This lead them to extract some conclusions, characterising demo activities on these areas. For example, at the Nordic countries (Specially Sweden) demos are much more focused on environmental issues than in other countries. Then, centric countries as Germany, Belgium or The Netherlands, have a long tradition of demos, which results today on a demonstration activity quite organised and well-structured, and with a relevant number of events per year. For example, first demonstrations in Netherlands dated from 1850. And although inventory reflects that learning tends to be more efficient in smaller groups, data of Switzerland, Belgium or The Netherlands show a clear tendency towards bigger events and shows, with more demonstrators and higher number of visitants. Regarding United Kingdom and Ireland, as in Central Europe, they have a long tradition of demonstration activities, mainly carried out by organisations and publicly supported. However, demonstrations topics or formats differ between the different nationalities (England, Northern England, Scotland, Wales). Other Supra-regional meetings: Eastern countries and Southern countries.